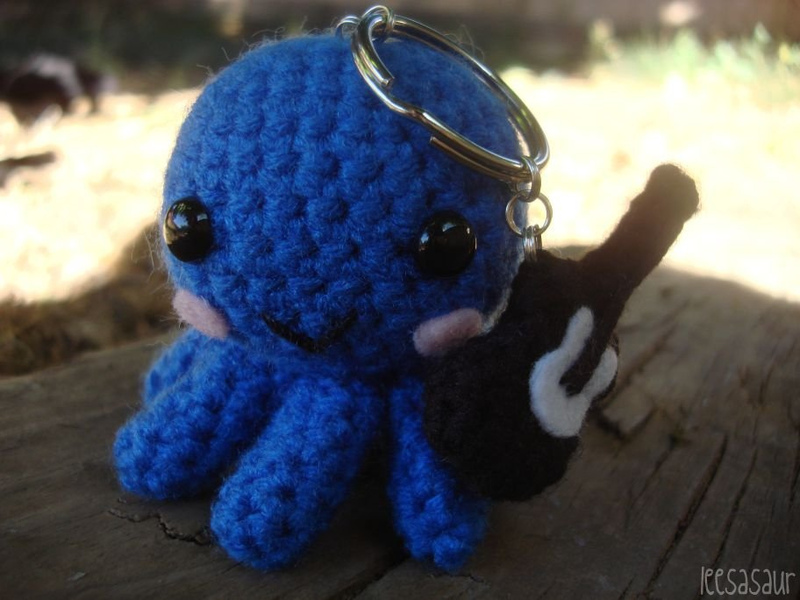 A customer requested a pair of my octopus keychains in slightly larger sizes as well as have them accompanied with a guitar and a piano. 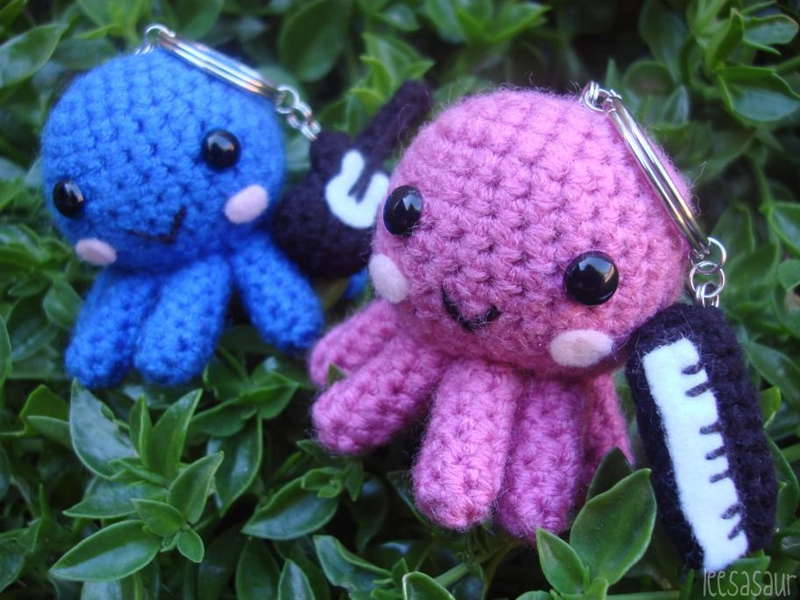 These were to be gifts for a musician couple who play these instruments and whose friends give them endearing octopus names. 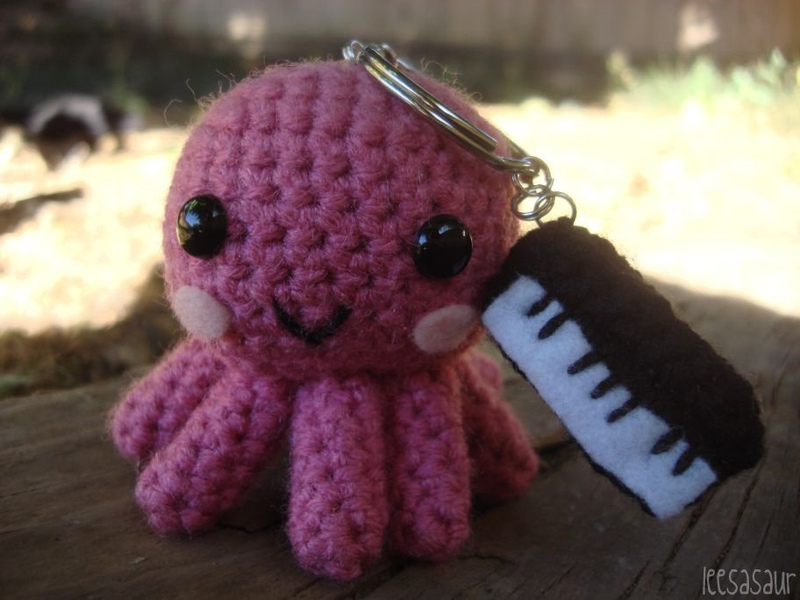 I'm all for cute and random challenges, so I was happy to help. 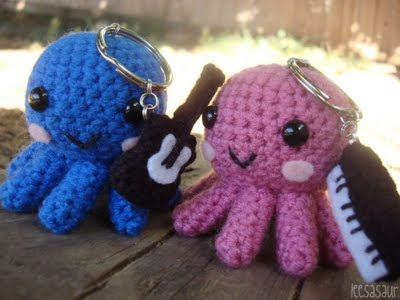 As far as the instruments go, I wanted to make them very kitschy and simple. I first made the piano as a miniature grand piano, but it just didn't match the electric guitar, so I switched it to a keyboard. What makes me happier about the end result of this darling couple, is the significance and uniqueness it plays in the lives of the requester and the receiving couple!